The anger of the investing class has curdled into paranoia. This is only the latest howl about incipient inflation from the hedge fund manager crowd over the last several years. These inflation truthers have come in for consistent mockery, and deservedly so. They have aligned with conservative economists to attack the Federal Reserve and warn that its loose monetary policies are debasing the dollar and spurring sure-to-come, any-day-now runaway inflation. As The Washington Post’s Matt O’Brien noted, Mr. Singer made a classic, and in this case pretty hilarious, mistake of generalizing from his own experience. “Check out London, Manhattan, Aspen and East Hampton real estate prices, as well as high-end art prices, to see what the leading edge of hyperinflation could look like,” Mr. Singer wrote. When zillionaires spend their millions on balloon dogs, they may be suckers, but it’s not a harbinger of Zimbabwe. If anything, we have dangerously too little inflation. And the government isn’t “cooking” the data. As Floyd Norris pointed out last week in The New York Times, the incentives simply don’t work that way. Still, I come not to bury the wealthy investors, but to try to clarify what I think might be informing their perspective. There really is a lot that seems “fake” about the economy and the markets. The paranoia is rooted in troubling episodes. The other explanations come up short. Sure, they are angry that President Obama said mean things about fat cats. But it’s not simply political. 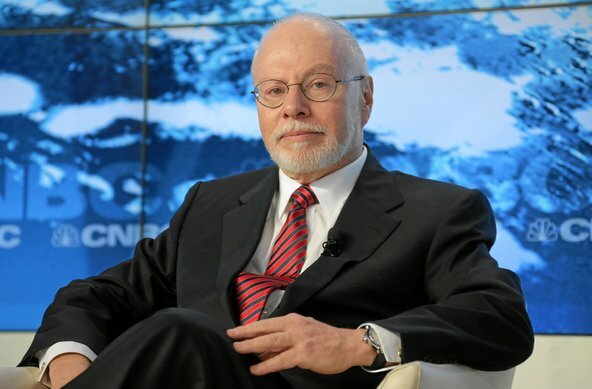 Mr. Singer is a well-known giver to Republicans (he also supports the marriage equality movement), but not all of these investors are conservatives. Perhaps it is a class fealty. Inflation is bad for holders of capital, after all. But Fed policies have been good for the wealthy. These hedge fund managers came of professional age during two gigantic bubbles, mass delusions that went on for years. Take the stock market bubble. Recall that it was in 1996, when Alan Greenspan, then the Federal Reserve chairman, gave his famous irrational exuberance speech. The market didn’t begin to crater until 2000. Then, within the living memory of every market participant, investors inflated yet another bubble — a credit bubble that touched almost every asset and corner of the world. That, too, was identifiable years before it blew up. So these hedge fund managers — and the rest of the world of sentient markets observers — have spent the formative periods of their professional lives watching the madness of crowds, enabled by central banks. In response to perceived and real threats to the markets and the economy, the Fed spent its time either ignoring it or overreacting to minor blips. During the Greenspan era, the Federal Reserve repeatedly displayed unseemly concern for the health of the stock market. It was so strong that after 1987, the Fed flooded the market with cash. In 1998, the Fed engineered the rescue of Long-Term Capital Management. The Fed also loosened the monetary gates ahead of the Year 2000 bug, the Kim Kardashian of economic problems. Then came the 2008 crash and a series of government-orchestrated moves that relied on collective suspension of disbelief. Take the 2009 stress test of the country’s largest financial companies. It was a policy miracle, the crowning achievement of the rescue from the crisis. The market was still panicking months after the government and the Federal Reserve had lowered interest rates to zero, engaged in extraordinary lending facilities, infused billions in equity in all the top banks, taken over the American International Group and Fannie Mae and Freddie Mac and allowed the two top investment banks, Goldman Sachs and Morgan Stanley, to tap the Federal Reserve lending window. Anyone who understood the banks — and all top hedge fund managers did — realized that if the banks were really forced to assess their solvency based on where assets were trading at that moment, they would have been insolvent. But after the stress tests, the government pronounced the banks O.K. (with a promise to backstop them if they couldn’t raise private capital). It was simply a collective exercise in looking the other way. Then, weirdly, it worked. The markets stabilized. Investors started to bid up the prices of things. Because of this, the big banks really did get healthier. Delusions and confidence games can have real-world effects. Since then, the markets have been on a tear. But companies haven’t been investing and wages are stagnant. Instead, corporations have spent the postcrisis years engaged largely in financial engineering. The largest United States corporations took 91 percent of their earnings from 2003 to 2013 and plowed them into buying back their own stock or paying out dividends, according to William Lazonick, an economist at the University of Massachusetts Lowell. There has been a corporate shift from making investments for the long-term health of the company and the economy toward cutting jobs and elevating share prices, with the end result of increasing top executives’ compensation, Professor Lazonick says. Nobody can say how long this can go on. But it’s not sustainable. At the risk of sounding like a Singerite, doesn’t it sound just a bit — what’s the word? — fake? Just because you are paranoid, doesn’t mean the capital markets aren’t out to get you. A version of this article appears in print on 11/13/2014, on page B10 of the NewYork edition with the headline: Inflation Fears Stem From Worrisome Origins.